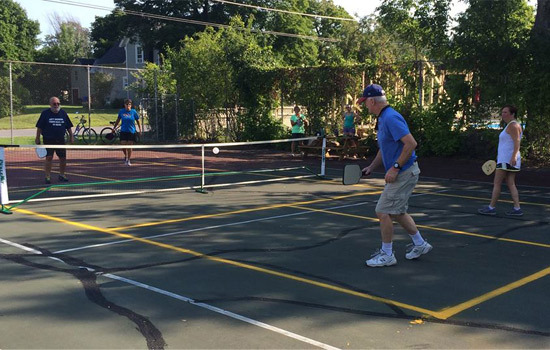 Pickleball is a raquet sport that is similar to tennis, but also has elements of badminton and ping pong. Two, three, or four players use paddles to hit a perforated ball over a net. Although the sport has been around for decades it hadn't taken off until the past few years - it's now the fastest-growing sport in the country! Note: Calling ahead to each place before going to play pickleball is highly recommended. Many places offer pickleball at certain times, might charge a fee, or you might have to be a member of the facility, or be staying there.